Caution: Electrical shock may occur from reading this blog post. It may help to move away from water with your computer and sit down in a dry space and keep your fork away from the electrical socket. Ready? Okay. Now you can read. I love my major. A whole bunch a bunch. Every year, every class makes me realize my choice was a good one, and is reiterated, re-solidified, and reassured almost daily. I, like many others, enjoy reaffirmations of well-made choices, and it makes my ease of explaining why I'm pursuing this path more fun and more passionate every time I talk to someone. So, if you want to major in cinema studies when you're done reading this post, don't say I didn't warn you. Contents are shocking and cinematic. You have a lot of class per week. Before you get terrified of the three or four class times' worth of commitments on your newly polished student schedule, remember that it's a cinema class, and that means watching movies. During class. For class. For credit. And then you learn to talk about them, more than just that the movies are good, bad, funny, but rather what they mean, what they look like, and why they should be seen. I've seen a wide variety of films for my cinema screenings, ranging from Star Wars to Europa/Zentropa to films my professors and fellow students had made. I can't say that enjoyed them all, or would recommend them to others, but I'm glad I saw some of them once. I can never see Jaws again, though. I literally fell out of my seat from fear. Regardless of whether you're doing theory and analysis or production classes, you'll have screenings, but your final reactions or projects will differ by writing a paper or creating a film. You get to make movies. That means getting a camera and getting down and dirty (no, not those kinds of films, though I'm sure it's been done), but rather getting out in the world and doing something yourself. Papers are something to be proud of, but a movie can appeal to a much broader audience, and at least for me, I can better express myself in a hands-on manner. Most production classes are focused around a singular theme: documentary production, the short, advanced media technique, installation image workshops. There is obviously flexibility in your chosen projects in some of these classes, but I've made some pretty interesting stuff in these classes, regardless of theme. Last semester, I was in advanced media production with Rian Brown, and we learned about some really cool methods, techniques, and media to better express ourselves in our projects. We were trained on the brand new HD cameras the department just purchased, and we also learned to shoot black and white and color 16mm film on a Bolex and an Arri, two really awesome film cameras. Rian shows Micha the basics of the Bolex, the smaller handheld 16mm film camera. Oops! The film unfortunately unwinds inside the Arri film camera. Testing the glide-cam with our new HD camera. Despite what people may say, film is not dying as a cinematic medium, but it's being used differently than it used to be, for different lasting intent. My black and white roll of film (along with the whole class's, except for Chris's) didn't develop, but my color roll turned out really cool. I made a three-minute short of a reverse strip-tease, which was just good-ole-experimental-fun. Other people in the class shot their projects entirely in 16mm, or integrated pieces of it into their projects. Where do all these magical technological toys come from? I work in the Media Depot, the nifty little spot that checks out camera and audio equipment, as well as lights, still photo equipment, and other awesome technology to make and present amazing visual media. We have far more excited students than we have available equipment, so students are encouraged to work together, befriend each other, and be good sports when it comes to using and sharing the tools of our trade. The Depot is located on the 4th floor of Mudd, and I've been writing a blog post about it for the last year. Maybe I'll actually finish it soon. The other extremely vital location for cinema studies majors is the Media Lab, filled with many editing stations, for both conventional video and HD editing. If you're in a cinema class, you have 24-hour access to the art building, located next to the Allen Memorial Art Museum, and the inspiration for the title of this blog post. Oberlin proudly displays Claus Oldenburg's Three-Way Plug, an enormous metal sculpture outside the art building. It underwent restoration last year and was reinstated last spring. If you don't feel like trekking across Tappan Square (I don't have to worry about it this year; the art building is really close to my house, and I visit the lab sometimes when my friends are working as lab monitors. It's one of the best places on campus to study, behind a locked door in a temperature controlled room. It's great. ), there are also a range of computers in Mudd library with Final Cut Express. The library's computers are wiped nightly, so you definitely have to work off of your hard drive rather than the small dedicated scratch disc reserved for each student in the lab, and the library is only open til 2am. Marathon editing at 4am (not for the faint of heart, but rather the cinematic insomniac) can only go down on your personal computer or in the lab. Use the lab this late at night with caution, since you make terrible decisions, especially editing ones, when you're tired, but frequent the lab often. First project? There are scheduled monitors for a certain number of hours a day there in case you need help. Even seasoned pros forget how to make DVDs sometimes. You get to do a year-long senior project; everyone is treated like an honors student. In most other departments, you have to propose an honors project during your junior year, and then are accepted before the summer. These students get a fair amount of individual professorial attention, while most other seniors within the major are in senior tutorials, essentially seminar-sized classes that focus less on a large project and more on wrapping up the major and opening up future options. For cinema studies (maybe because it's a small department, maybe they're trying something new), all seniors in the class are receiving individual attention with the added benefit of input from their peers, and the honors students will be decided at the beginning of second semester, at which point those students will have to additionally write a paper and defend their project to the cinema studies professors. So what does a senior project entail? Let me tell you, it's not just movies and papers. Little uninformed, thinking-inside-the-video-camera-box me thought that a senior cinema studies major project should be a movie or a paper, and for me, that meant a film, more specifically, a stop-motion-photo-animation. I was quite incorrect, and boy was I lucky that I was. As we discussed over the past few days, cinema studies is a new major dealing with new media. It was as well quoted as they come by my other senior project instructor, Jeff Pence: "Cinema studies is a very model of a modern media major." That means that our class's original ideas of narrative or artistic student film, webseries, serious documentary, hands-on technical exploration of behind-the-scenes-but-incredibly-necessary skills like makeup and production photos are not the end-all, be-all, but the beginning of something much later. Cinema is one way in which to present something and integrates seamlessly into a much larger picture. We are stimulated by the visual, and can continue to be stimulated even after the moving image stops. What about books? Action figures? Blogs? Interactive board games? My project now appears to be the makings of a new industry of food education, complete with pop-up book, blog, and interactive cooking lessons. Where did this come from? Who knows, but I'm VERY excited. Cinema studies is a budding department, and has undergone many changes even since I've arrived here. We used to only have one or two production classes a year. Now we usually have more than that in one semester. The amount of resources available to students has increased exponentially in the last few years, including but not limited to the video equipment available, but also the number of computers students can edit on, the number of films available to be checked out, and visiting lecturers and presenters (both alumni and people who are cool enough to be alumni) from the movie industry. The Media Depot and the shooting studio were the baby steps when the program began expanding three years ago. With the school's acquisition of the Apollo, the cinema studies department will inevitably move into a part of the building with its own private screening room and studio space, and continue to expand from there. This blossoming senior project class is preparing us to submit work to film festivals, get employed in the industry, experiment with cinema in other regions of education, marketing, and development, presenting ourselves as freelance skilled workers, grad school, or whatever we plan to do. This sort of intimate setting can only produce amazing results. We're growing. And we've got a camera trained on us just like proud parents do. Three-way plug and no reference to the AMAM? Thanks for catching my preemptively posted blog post. Now it's done and in there, complete with picture! AMAM, I love you and your plug, and I plug you all the time. Yo, Ma'ayan, I'm really happy for you, and I'mma let you finish, but Oberlin's Religion Dept. has the best majors of all time. OF ALL TIME! Great and informative post! I know a lot of prospies I meet will find this extremely helpful. Helena, can't you do that for like, 70 majors? @Helena - Cinema is religion to me. It changes me. Nuff said. 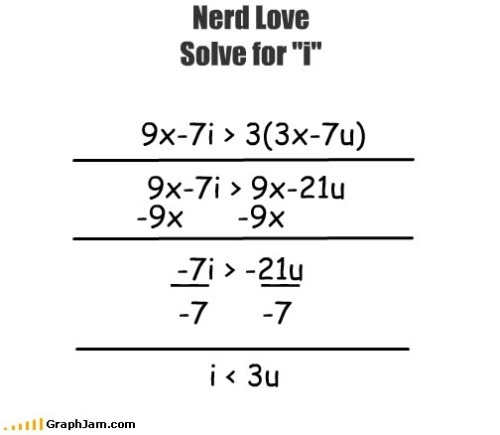 @Aries - BEST MATH PROBLEM EVER. You're great. Thanks for gracing my comments with that. @Jesse - Direct them to me if they have specific questions. I've been part of the departmental open house for the last two years, so I can spit lots of great information at them, even with all we've changed. Actually, not spit, cause that's one way to get swine flu. I can talk til I go hoarse about it, then. That video you made and linked to rules, Ma'ayan! As does this post.